Choosing the siding to cover your Kansas City area home is a big decision. 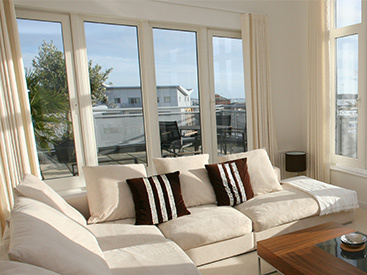 It’s one of the first components of your home that people notice. Make sure you choose a siding option that will make a good impression and hold up to the elements. We have so many siding options at Blue Springs Siding & Windows, but one of our favorite and most recommended choices is James Hardie siding. If you’re building a new home, or refinishing your current home, here are three reasons you should consider using James Hardie siding. Your siding is exposed to the elements all day, every day. Wind, water, ice, snow, sleet, Mother nature really puts it through the ringer. While some siding options show wear after just a few years, James Hardie fiber cement siding stays looking like new for far longer. 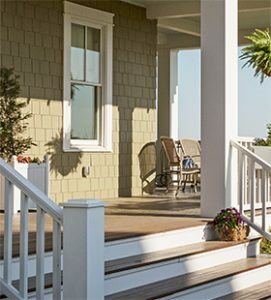 While vinyl cracks in the cold, and wood products expand and contract with changes in moisture and humidity, James Hardie siding is engineered to withstand any climate and any season. 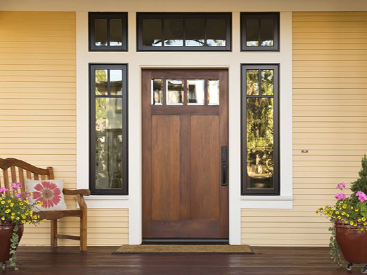 When you choose James Hardie siding, you open the door to a myriad of siding options and colors. From country to traditional to rustic to modern, the style possibilities are endless. The range of color options seems endless too. Choose from beautiful neutrals to eye-catching bold colors. Whatever your style, you are sure to find something that fits it at Blue Springs Siding & Windows with our James Hardie siding. You never have to sacrifice beauty for functionality again. Great siding should be looked at as an investment, not a flat cost. Because siding is such a large part of the look and feel of your home, it can have a huge effect on the resale value of your home. 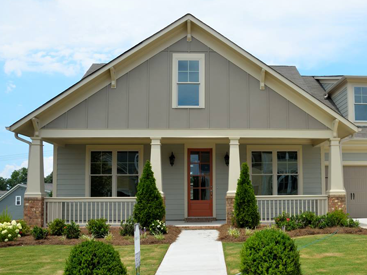 Did you know that the return on residing your home with fiber cement siding, like James Hardie, is 25% higher than if you added a bathroom? And even 24% higher than if you made a major kitchen remodel? That’s huge. Because of the quality of James Hardie, and its ability to outlast all the competitors, it’s worth your investment. For beautiful siding that will continue to add value to your home over the years, call Blue Springs Siding & Windows for James Hardie Siding at (816) 228-5225. Also, come check out samples at our showroom in Blue Springs just north of I-70.